The client wanted to freshen up their look to prepare for Black Friday sales. Customization included a new top Promotional Bar that appeared only once per visit, which the user could close by clicking the X. The top navigation menu was also updated with a new font family and size. The icons in the top header area were updated as per new svg files that had to be converted. Below that, a carousel of new imagery was added along with the capability to add text and Call to Actions as an overlay. 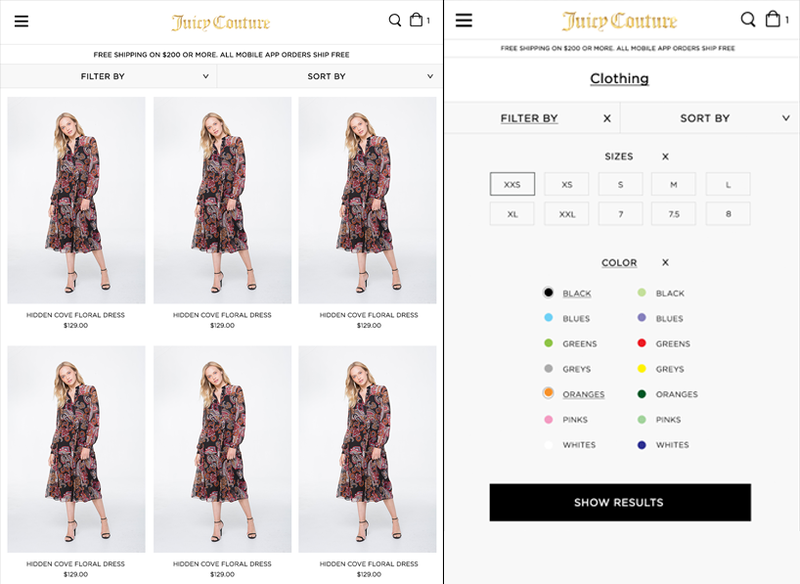 The main body was updated to feature four categories of styles, and depending on the device - an embedded video, New Arrivals product carousel that automatically played, and a live Instagram Feed sorted by most recent. The footer area was also revamped to include four new menu's with a center area for a Newsletter signup with inline form elements and a popup confirmation. On Tablet, the carousel had to resize and the entire navigation had to be structured to fit in a slide-out menu controlled by a hamburger icon. On Mobile, the carousel had to resize in order to fit the device and screen size; as well as stack all the elements. Along with the main menu refresher and navigation updates, a local custom menu was added which changed based on category. Filtering options were updated as well so that the customer could tailor their search results based on size and colors. 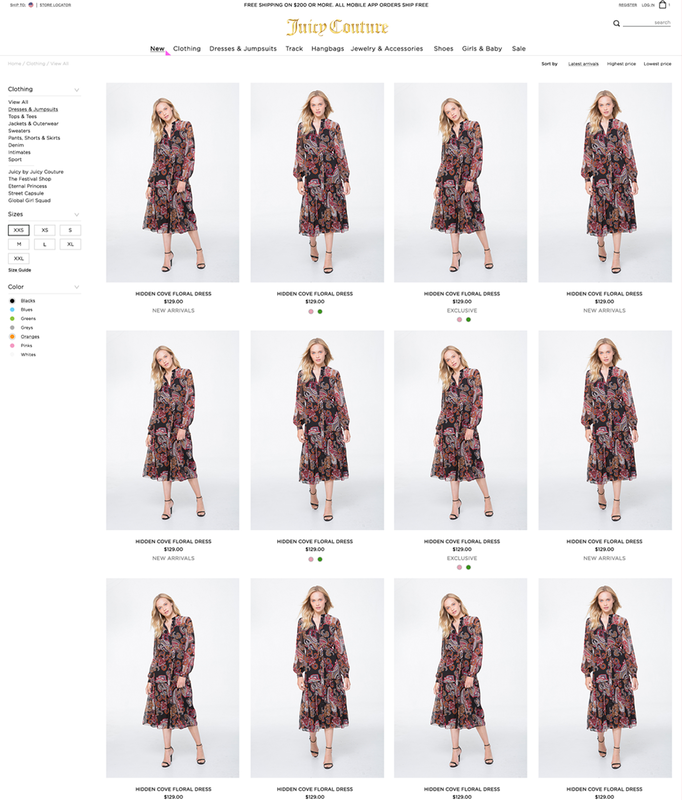 In the main area the product images are clickable so that the user can view a popup video of the model on the runway wearing the product. Below the product name are current prices and color swatches, including tags to denote an exclusive item for flash sales or limited release. Mobile maintains the same Filter setup as Tablet but is exposed on the entire screen for easy access.